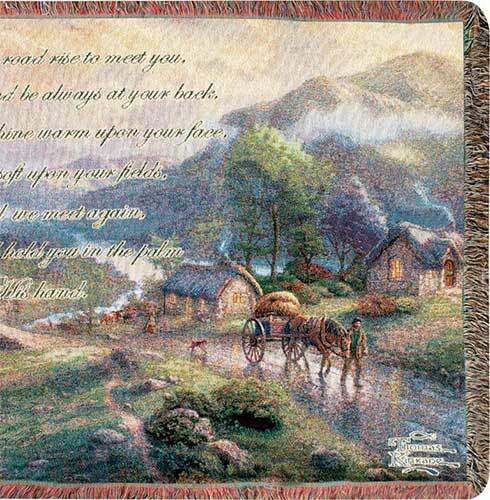 Irish blessing throw blanket is named Emerald Valley; it is a Thomas Kinkade design. 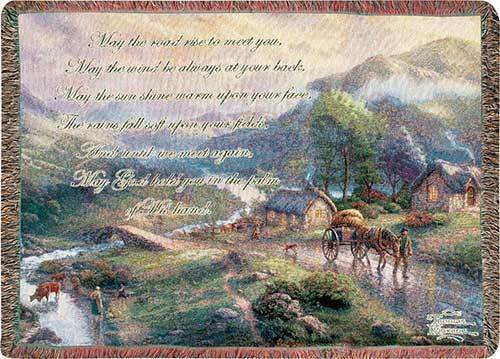 This blanket features the Irish blessing and it is designed by artist Thomas Kinkade. 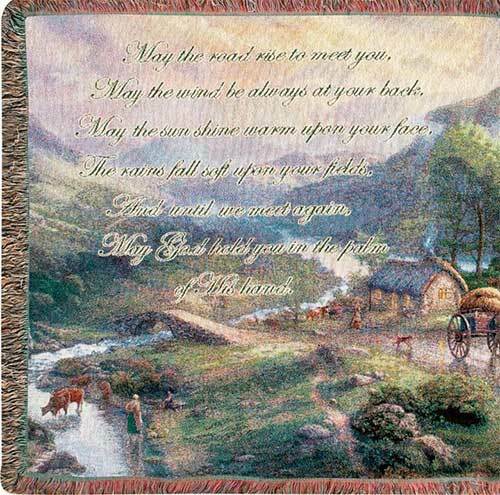 The Irish blessing blanket is 100% cotton and features a panoramic view that measures 50" tall x 60" wide. This throw blanket, from The Irish Gift House, is made in the United States.